My latest trip to the Loire Valley, this August, was certainly not my first trip to the Loire, but on every visit, I discover something new. This visit was just a one-night stop-over between a week in Brittany and a few days in Paris with my aunt and uncle on their first trip to France. We couldn’t miss seeing the famous châteaux of their high school French textbooks, right? Most students of French can name a handful of these ornate palaces and castles, some can even tour the buildings in their minds without having ever visited. We did not have much time, so we chose to visit what is perhaps the most iconic and representative of the Loire treasures: Chenonceau. There are so many worth visiting: Chambord for its imposing size, Villandry for its gardens, Azay-le-Rideau for its beauty and charm, just to name a few. But if you’re only going to see one château, Chenonceau may be the best choice. It’s built over the River Cher and for the setting alone, it is worth the trip. 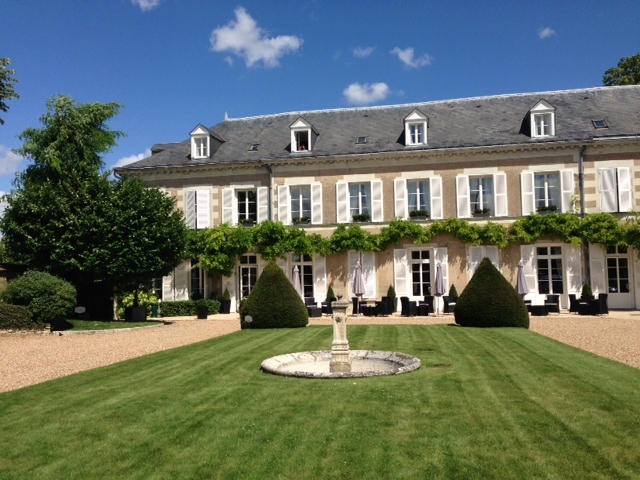 The gardens are in classic French style. And most of the rooms are furnished (unlike at Chambord, for example). My favorite room by far was the kitchen, overlooking the river, with an assortment of traditional pots and pans, butchers’ knives and stoves and ovens. Most interesting to me is the history that Chenconceau has witnessed over its 500 years. 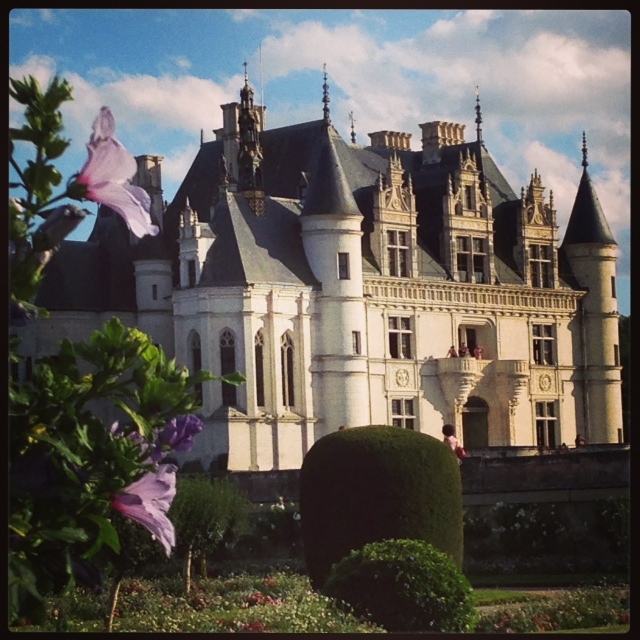 When we think of the Loire Valley, we think of extravagance and pageantry. But in the past century, the château played an important role in both world wars. The famous gallery that spans the river became a hospital ward in World War I. More than 2,000 soldiers were treated in that great hall. During World War II, this same gallery served as an escape route from the Nazi-occupied zone to “Free France” on the opposite bank of the River Cher. Of course the Resistance also used this bridge to cross into the occupied zone. Our rooms were spacious and very elegant, with modern amenities but traditional touches such as exposed beams. We even had castle-view! Each room came to about 150 euros with tax. On my last visit to Amboise, I stayed at the Manoir Saint Thomas, also in easy walking distance to the heart of downtown Amboise, and loved my stay there as well. For more ideas, read about my last Loire Valley weekend getaway, see the corresponding weekend itinerary, and look at additional itineraries here, by scrolling down to Loire Valley 1 and Loire Valley 2. Next time? 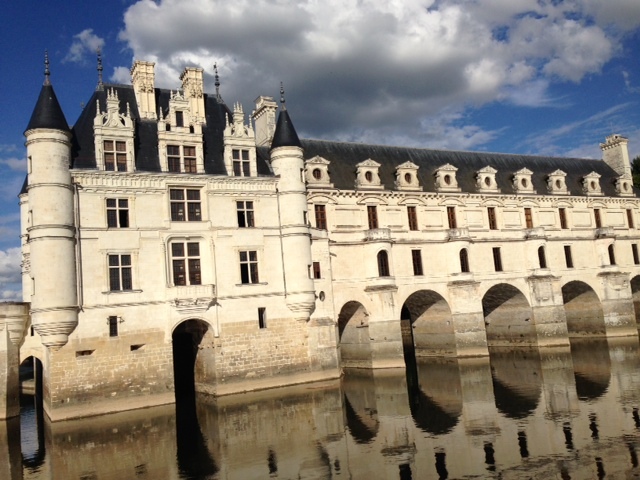 I’m definitely visiting Chenonceau by kayak next time. Click here and scroll down to “And on the river?” for more details on canoe and kayak rentals, or visit this site.